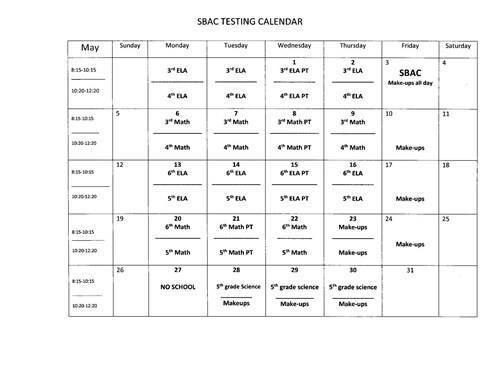 Please refer to the testing calendars to make sure your child is in school on their testing days. Schedule appointments during non-testing times. Make sure your child gets plenty of sleep so they can do their best. A healthy breakfast can help students focus!